Covering orthopaedics, ENT and ophthalmology, this book is designed to stimulate the student into assessing his/her own knowledge during self-directed learning and exam preparation. This new edition is a one-volume core revision text covering orthopaedics, ENT and ophthalmology, designed to stimulate the student into assessing his/her own knowledge during self-directed learning and exam preparation. 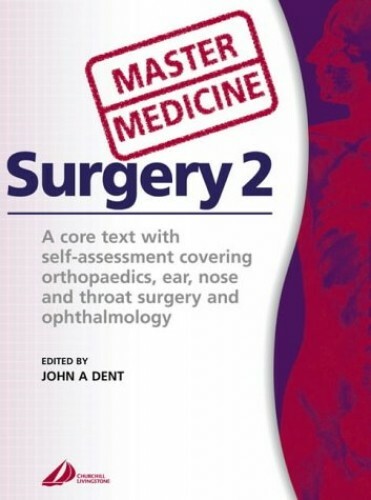 The book assumes the student has had some teaching in surgery and has acquired some basic core knowledge. The book promotes self-directed learning with motivation coming from self-identification of strengths and weaknesses leading to an assessment of needs. The structure of the book is as follows: division into the main sections: orthopaedics, ENT and ophthalmology a core text examining the main surgical diseases in a synoptic text. A self-assessment section at the end allows the student to assess the progress in the application of the facts to common clinical problems.